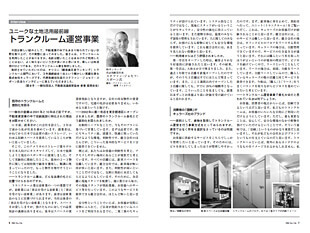 Interviewer: Fumio Fukuoka, Counselor of FRK (Association of Real Estate Agents of Japan) Autumn 2012. As a new attempt for the June issue, we have highlighted a field of the real estate industry which is still not well-known, and have looked into the realities of the field. Have you ever used “self-storage”? Many of you may have heard of it, but may have never used it before or may not know much about it. We have covered the self-storage business, a new and effective use of lands. This time we have visited Quraz, Ltd., the company with a proven record of having been ranked first in the “Customer Satisfaction Rankings” in the self-storage segment for three years in a row. The rankings are published by Oricon every year. We spoke with Mr. Stephen Spohn, president and representative director of Quraz. He talked about the inside of the self-storage business. Fukuoka: Quraz was founded in 2001, about 10 years ago. Why did you choose storage facilities from among various real estate rental businesses? 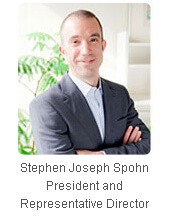 Spohn: The founder established this company 11 years ago and I have been became president three years ago. The founder felt that there was no high quality storage service in Japan – so he came up with an idea of customizing US storage business model to suit Japanese people’s needs and developing the business in Japan. Then, he suggested this idea to the current sponsor of Quraz. He implemented the idea as an experiment and the first two to three shops successfully acquired customers in a short time – so he decided to open more shops. What is the legal definition or status of self-storage business? Self-storage business is one of the warehouse business categories, but there are two categories in warehouse business – “warehouse with custodial service” and “warehouse without custodial service”. The former is governed by Warehousing Business Act. Quraz is the latter – “warehouse without custodial service”, which means we just rent storage space to the customer and we are not liable for the customer properties stored in that space. This is basically the lease agreement of space, but we don’t need a real estate transaction license as we lease the space in the properties we own. Quraz is a landlord. Quraz opened its first shop in Minato Ward in Tokyo in 2002. How did you differentiate yourself from other existing self-storage operators? First, we focus on quality - specifically, security, cleanliness, comfort and convenience. Most of competitors don’t offer these basic services sufficiently to the customers. For example, we think it important that the shop easily accessible. That’s why all of our shops have a parking space. I think many of our competitors don’t have a parking space. We also have onsite sales and service staff at all shops. This is not only for convenience but also for welcoming atmosphere. Again, I think few competitors can offer the service like this. As for security, at least two layers of security system restrict property access. I believe our onsite staff also gives increased security. In addition, we control temperature and humidity of the whole building. In other words, we offer a safe environment to protect not only customers but also stored items. This is our notable feature which you don’t normally see anywhere else. How was the evaluation by customers? When we opened the first shop, I think it was highly praised by customers. As a result, our first shop was filled up in about six months. Over the past 12 months, we opened six new shops and three of them are now almost full. Over the past five weeks, we opened three new shops and their occupancy rate is already more than 20%. These facts make me feel that Quraz has been highly valued by customers since its establishment. Your business model is basically to own and develop whole properties as self-storage. Why do you choose “owning” model, not “leasing” model? We would like to tightly control our product quality and service. To do so, it is easier if we own properties. Park a car in the parking lot, go to the sign-up room, and then see the unit (self-storage) – this is the Quraz customer experience which is difficult for other competitors to imitate because they typically lease single or multiple floors in office buildings. 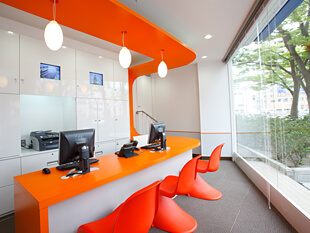 By owning and controlling the whole building, we can ensure high quality customer service. However, owning is not the only option – we do lease space for our business to grow. In principle, we lease the whole building to ensure that we can offer the same experience as our owned properties. We intend to grow the business by taking a balance of “owning” and “leasing”. What do you think is most important in self-storage business operation? From customers’ and consumers’ viewpoint, I think it is trust. We have a product to meet different needs of customers, but what is more important is to create an environment where customers can feel safe and secure when they use Quraz. I believe trust underlies this environment, our company and the brand. For some people, when they think of self-storage, the image of facilities like container which are left out in the open and exposed to the weather may come to their mind. We would like to wipe out such negative images - that is why we have to supply high-quality self-storage. The purchase of real estate requires large amount of capital. How do you finance it? We have a corporate finance relationship with a Japanese megabank. Acquisition of buildings is financed by the bank loan as well as investment from the sponsor. How many properties do you manage at present? We manage 45 properties now, 3 of which are leased properties – that means we own 42 properties. Out of these 45 properties, 42 already opened. How many units in total for those 42 shops? There are about 25,000 units in total for 42 shops, but it will increase to 28,000 once all 45 shops are open. In which area do you own properties? Any target area for future? Currently, we have shops in 7 of top 10 cities in Japan and would like to extend the reach to all of top 10 cities. For the time being, we will focus on stabilizing the existing shops in these 7 cities and then, we would like to open the shops in other 3 cities. Now more than half of our shops are in Tokyo, but I think there is still room for development in the Tokyo metropolitan area. What are the sourcing channels? We have built a wide network with real estate brokers – some of them fully understand what we are looking for. Also, we sometimes get information from financial institutions. We, FRK, consist of about 300 member companies. Do you do business with our members? es. I think we do business with most of them. How big is the unit on average? How much is the cost to use it? We offer a variety of sizes, from 1 to 20 square meters - the average is around 2.5 square meters. We set different rates for the different locations/markets - about 6,000 – 12,000 yen per square meter per month. For the existing shops, it is about 80% in total. The biggest challenge is to find a right property. In connection with this, financing is becoming more and more important for further growth. By educating financial institutions about the self-storage assets and business, we would like to increase opportunities for our business growth to be financed by the loan from them. We have learned lots of things from 10 year experience in property acquisition. We have our own criteria for properties such as type of building and location etc, but it is not so easy to find the properties to meet the criteria and close the deal. We would like to have more opportunities to communicate with brokers and financial institutions so we can obtain better quality information. Please tell us about the self-storage business prospects. 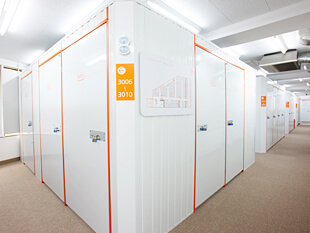 Over the past 5 years, we have conducted a survey on self-storage business in Japan. Based on this survey, the market has grown by roughly 10% per year. We believe this 10% growth will continue over the next 20 to 30 years because the US market has averaged 10% annual growth since self-storage first appeared in US roughly 40 years ago. Now in US, where there is a huge self-storage market, one in ten households uses self-storage. I think Japan is about 30 years behind US in self-storage business. Considering the population and a high density of people in Japan, I think the use of self-storage will continue to increase. Some of our member companies have already helped you to purchase properties. Can our members also assist you in leasing Quraz units? Certainly they can. I would be happy to build a mutually profitable relationship. For example, we can pay a commission for every customer introduced by your member company. Especially, rental housing companies or agencies might help us a lot as one third of our customers use Quraz for moving/relocation purposes. Some of those customers use storage for 1-2 weeks and others do so for 1-2 years in connection with overseas job transfer. I believe Quraz is the cleanest, safest and most convenient self-storage. I would like your member companies to introduce such advantages of Quraz to their clients.